I purchased this palette awhile back when a co-worker of mine showed up one morning glowing! I couldn't resist commenting on it for the rest of the day. Needless to say, by the end of the week it was added to my collection! It has been out for well over a year now, but I was requested to do a review so forgive my slightly used palette. The Naked Flushed (0.49 oz.) retails for $30 USD ($35 CAD) and includes a bronzer, highlighter and blush. * Bronzer is described as a sheer medium bronze satin. 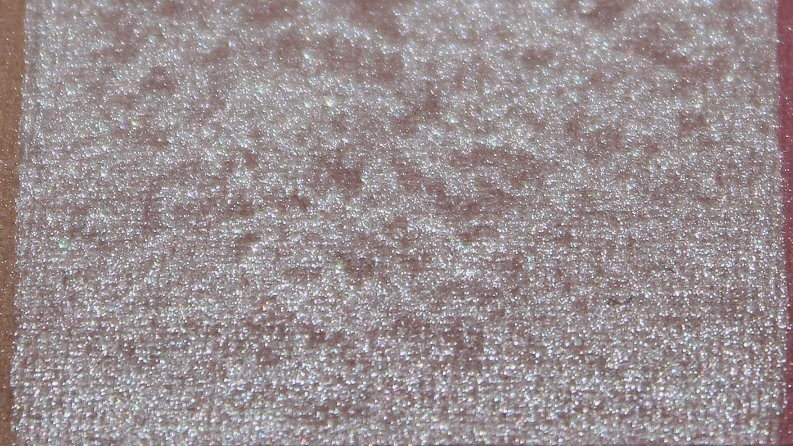 * Highlight is described as a soft pink champagne shimmer. 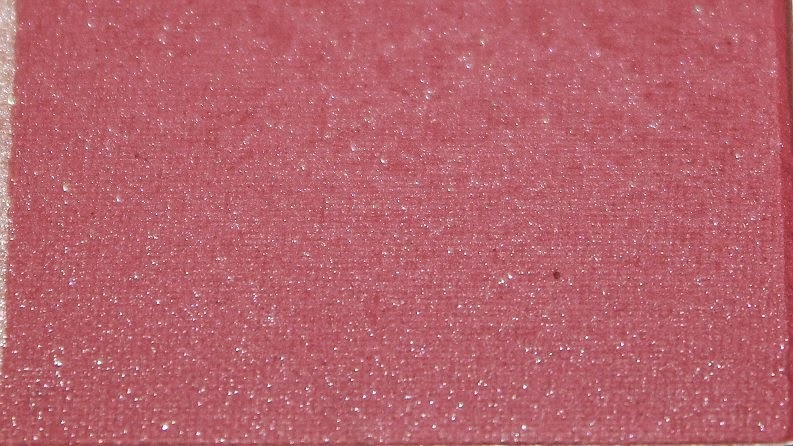 * Blush is described as a dusty rose satin with a hint of shimmer. The packaging is simple and compact. It features a handy mirror and the individual products are generously sized, although I wish the were equal rather than being 60% bronzer. 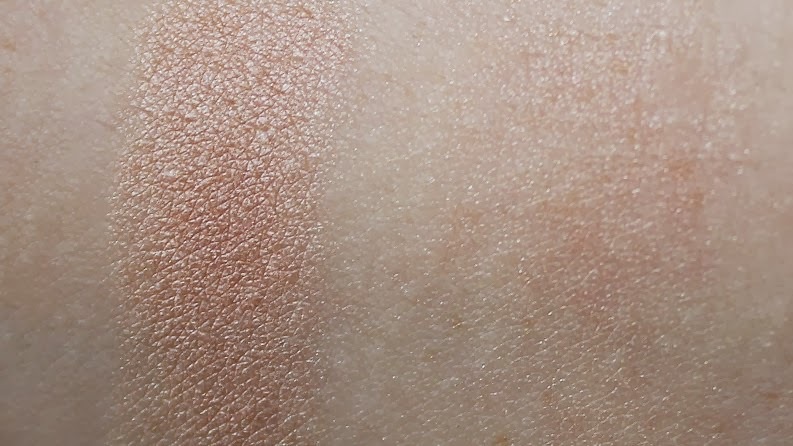 The bronzer is a medium-tan with slightly visible sheen and orange/brown undertones. 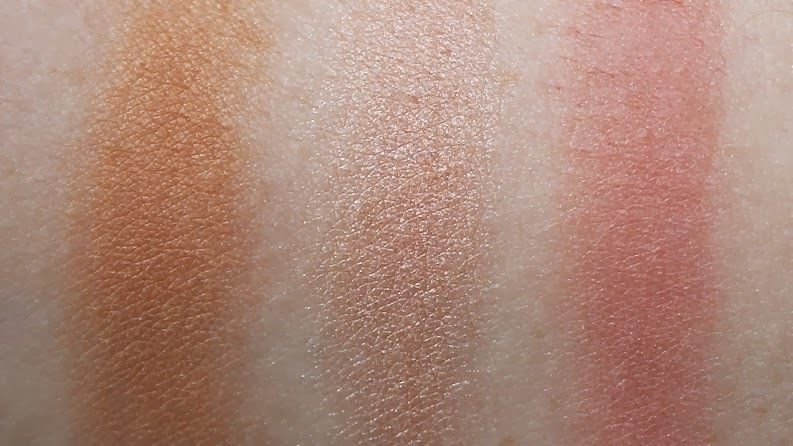 The texture isn't like you'd expect from Urban Decay (soft, smooth, buttery) It is stiff without being powdery, but applies flawlessly to the skin. 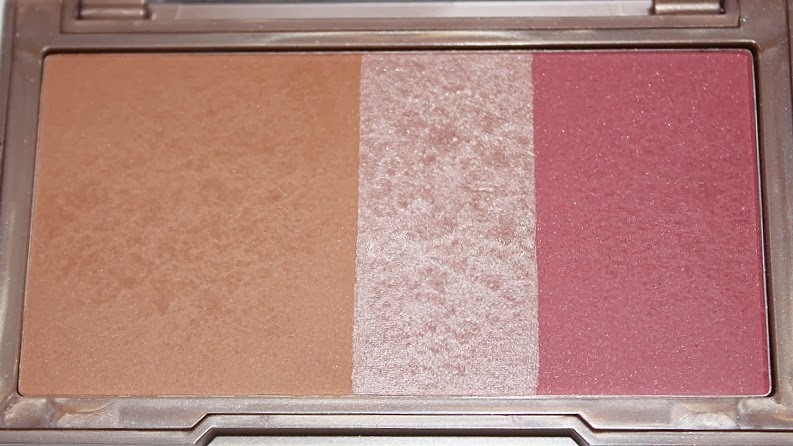 The bronzer is sheer as described, so it gives the skin a natural bronzed look. The highlighter is a champagne color with a frosted finish. It is rather sheer but can be over applied easily. Only the smallest amount is needed for a natural glow. Because of the frosty metallic finish it can emphasize the look of pores, but it leaves the skin looking luminous and refreshed. 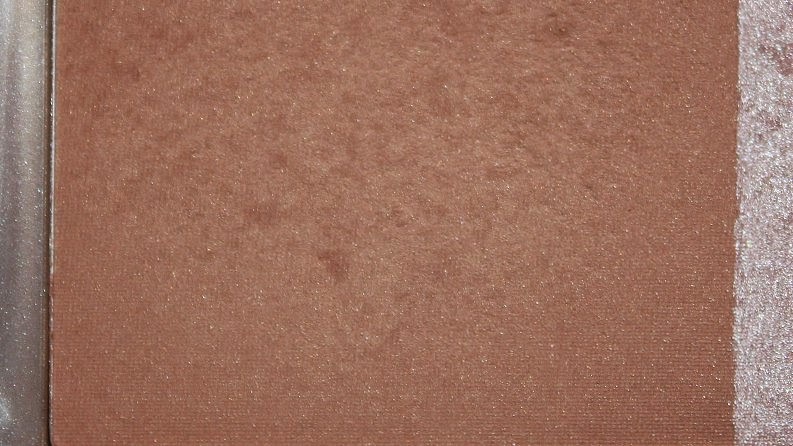 The blush is a gorgeous dusty rose with warm undertones and a mostly matte finish. Like the bronzer, the texture is quite firm (not powdery) and not what you'd expect from Urban Decay. It applied smooth but it was a little more difficult to blend out. It wore well over +6 hours before any noticeable fading. 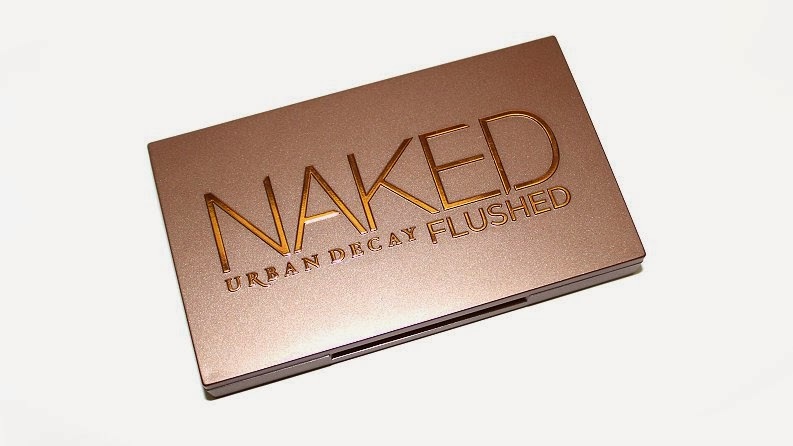 The Naked Flushed palette has been stated to work with any and every skin tone, however it may not. Lighter skin tones note, the bronzer may be a little too dark/orange. 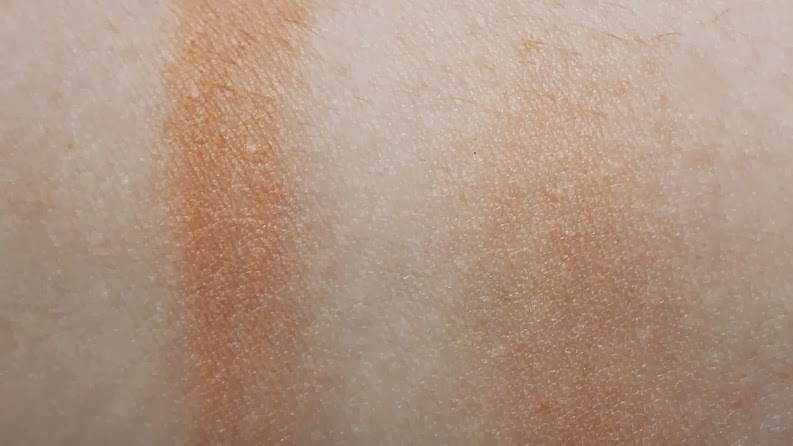 Darker skin tones note, the bronzer may not be as buildable as you'd like. 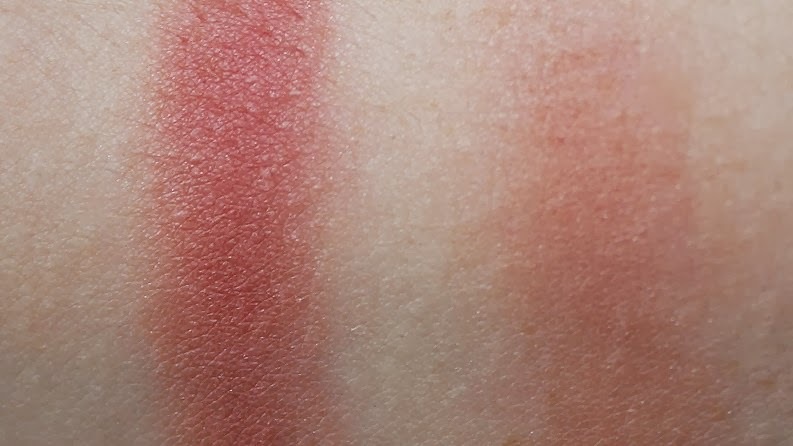 Overall, depending on your skin tone, the blush shade may leave your cheeks looking irritated instead of flushed, and the highlighter may be too frosty/metallic for your liking. For me, this palette works well. 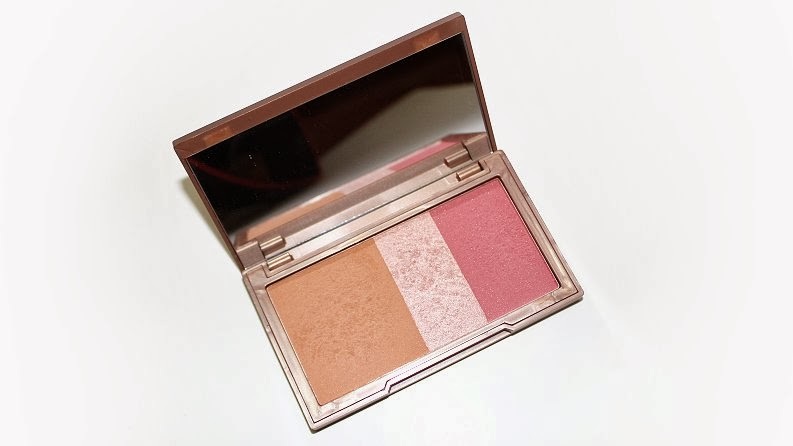 I adore the highlighter and blush shade and although the bronzer is too orange to use on my cheeks or as a contour shade, I've used it as an eye shadow in my crease for those lazy days. I think it's a decent palette if it's something that works for you! 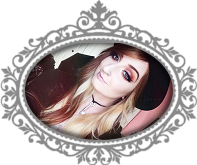 Can be purchased from Urban Decay, Sephora online in-stores.